In the last few years, additive manufacturing (AM) has been gaining great interest in the fabrication of complex structures for soft-to-hard tissues regeneration, with tailored porosity, and boosted structural, mechanical, and biological properties. 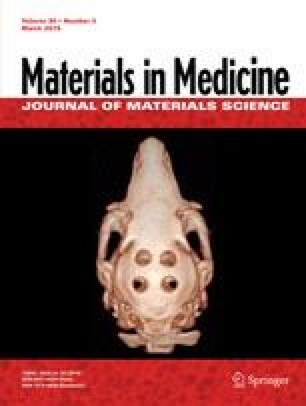 3D printing is one of the most known AM techniques in the field of biofabrication of tissues and organs. This technique opened up opportunities over the conventional ones, with the capability of creating replicable, customized, and functional structures that can ultimately promote effectively different tissues regeneration. The uppermost component of 3D printing is the bioink, i.e. a mixture of biomaterials that can also been laden with different cell types, and bioactive molecules. Important factors of the fabrication process include printing fidelity, stability, time, shear-thinning properties, mechanical strength and elasticity, as well as cell encapsulation and cell-compatible conditions. Collagen-based materials have been recognized as a promising choice to accomplish an ideal mimetic bioink for regeneration of several tissues with high cell-activating properties. This review presents the state-of-art of the current achievements on 3D printing using collagen-based materials for hard tissue engineering, particularly on the development of scaffolds for bone and cartilage repair/regeneration. The ultimate aim is to shed light on the requirements to successfully print collagen-based inks and the most relevant properties exhibited by the so fabricated scaffolds. In this regard, the adequate bioprinting parameters are addressed, as well as the main materials properties, namely physicochemical and mechanical properties, cell compatibility and commercial availability, covering hydrogels, microcarriers and decellularized matrix components. Furthermore, the fabrication of these bioinks with and without cells used in inkjet printing, laser-assisted printing, and direct in writing technologies are also overviewed. Finally, some future perspectives of novel bioinks are given. Financial support from the European Union Seventh Framework Programme (FP7/2007–2013) through grant agreement ERC-2012-ADG 20120216-321266 (ERC Advanced Grant ComplexiTE), from the Portuguese Foundation for Science and Technology (FCT) to the BiogenInk project (M-ERA-NET2/0022/2016) and from North of Portugal Regional Operational Programme (NORTE 2020) to the projects FROnTHERA (NORTE-01-0145-FEDER-000023) and NORTE-08-5369-F SE-000044, under the PORTUGAL 2020 Partnership Agreement, through the European Regional Development Fund (ERDF), is greatly acknowledged. The authors are grateful for the FCT distinction attributed to J.M.O. (IF/01285/2015). Gopinathan J, Noh I. Recent trends in bioinks for 3D printing. Biomater. Res. 2018;22:11. https://doi.org/10.1186/s40824-018-0122-1.